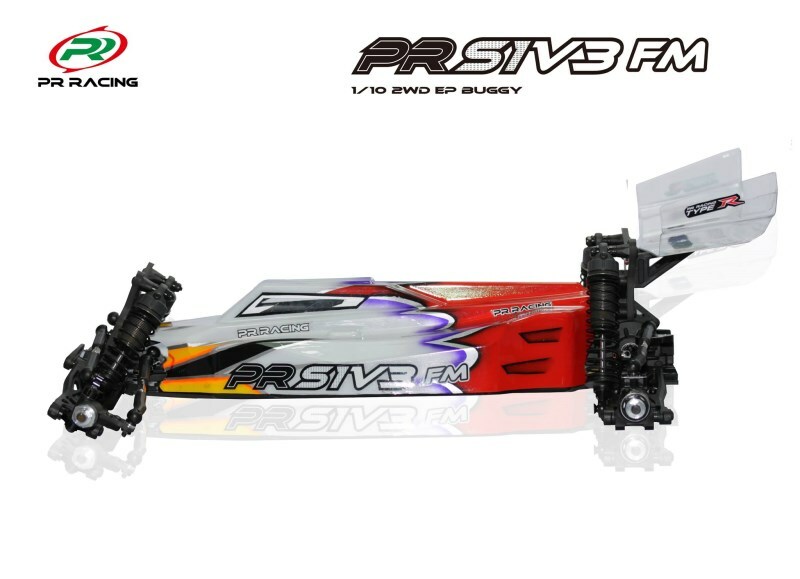 Since the release of the V3 (FM) 2wd Buggy we have been working hard at PR Racing to develop and improve what has already been a very competitive and successful platform. 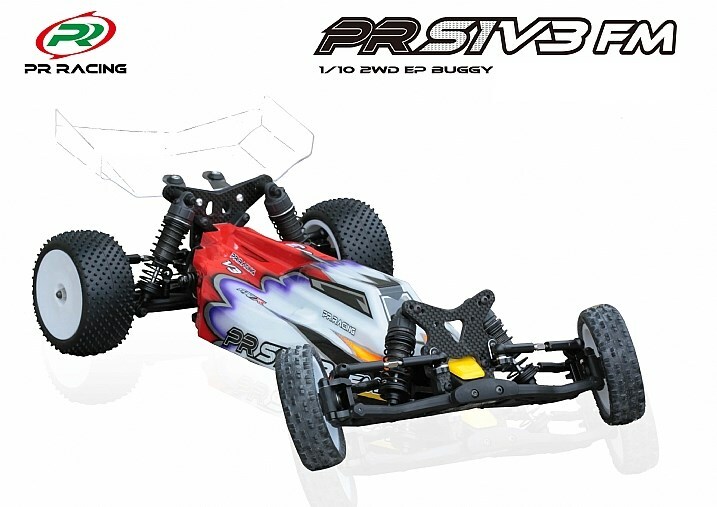 The 2018 version of the V3 buggy comes in two forms; a standard 2018 version with some optional additions and changes, and the Type R, which includes all new shock absorbers, towers, carbon chassis and a whole range of optional parts previously only available separately. The new lower shock geometry and new sleek body produce a much more stable car on high grip which changes direction quicker, and rotates through the corner smoother and at higher speed. Our team of drivers have had some great success testing these new parts. The 2018 edition cars both include the universal type chassis which means it is easy to swap between the 3 gear laydown and the stand-up gearbox. The Type R utilizes a 2.5mm carbon fibre version of the chassis which offers reduced weight and more reactive handling characteristics, while the Standard 2018 FM continues to use the alloy version. PR never stand still and are constantly looking to improve their platforms in performance and value to take you to the next level!